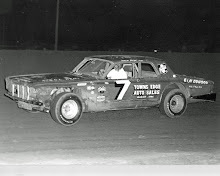 Daytona Beach, Fla. (February 7, 1971) - Grandfather Iggy Katona drove past a smoking Ramo Stott with 100 miles to go Sunday and won the ARCA 300 stock car race before a record crowd of 16,300. Katona, a 55-year-old trooper from Willis, Mich., had been in contention from the start of this eighth annual classic for Midwestern drivers, but didn't make his big move until after the halfway point. 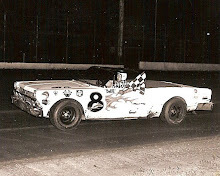 Then he suddenly bolted from fifth place to second, overhauling veteran Red Farmer of Hueytown, Ala., and 43-year-old Andy Hampton of Louisville, Ky., to challenge the leader, Stott. 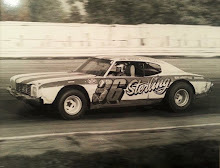 He was riding the Keokuk, Iowa, champion’s bumper when Stott’s blue Plymouth suddenly started trailing a plume of smoke as it raced around the 2.5-mile Daytona International Speedway at 175 miles per hour. Katona raced by and gained the lead on the 82nd lap of the 120-lap affair and he was never headed, although he had to beat down a late charge from Farmer. Farmer, three-time national sportsman champ, managed to close to within a second of Katona with 30 miles to go. But he chase ended when the Alabama driver’s Ford got too high in the third turn and he scraped the wall enough to damage a tire. 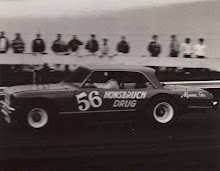 He lost a lap getting a replacement and finished third, behind Tom Bowsher, 1970 ARCA Rookie of the Year. Fourth place went to Jack Shanklin of Indianapolis and fifth to Hank Teeters of West Jefferson, Ohio. 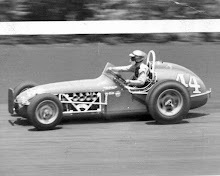 Katona, who had started his Dodge in the front row beside Stott, completed the race in 1 hour, 58 minutes and 27 seconds for an average speed of 152.542 miles per hour. He was paid $5,900 from the $35,025 purse. Katona, an eight-time grandfather, is long past the age when all but a few race drivers hang up their helmets. But Katona was in no mood to talk about quitting.